Life here is pretty good, but if there’s one constant complaint we all hear – and repeat – it’s Singapore’s shudderingly consistent hot, humid climate. Everyone knows it well: You’ve just enjoyed a great lunch at a hawker centre, only for the gastronomy-induced euphoria to quickly give way to solar-induced dread. Despite the queue for char kway teow being only half as long today, the car’s still been parked in the blazing sun for at least half an hour. Opening the driver’s door is like checking on a roast chicken: A wave of steamy, superheated air washes over you, fogging up your glasses and you have no intention of touching the searing surfaces inside. But what if there was a way to lessen the torture of getting into your hot car? Luckily, the Kia Cerato has a few nifty features to help with just that. 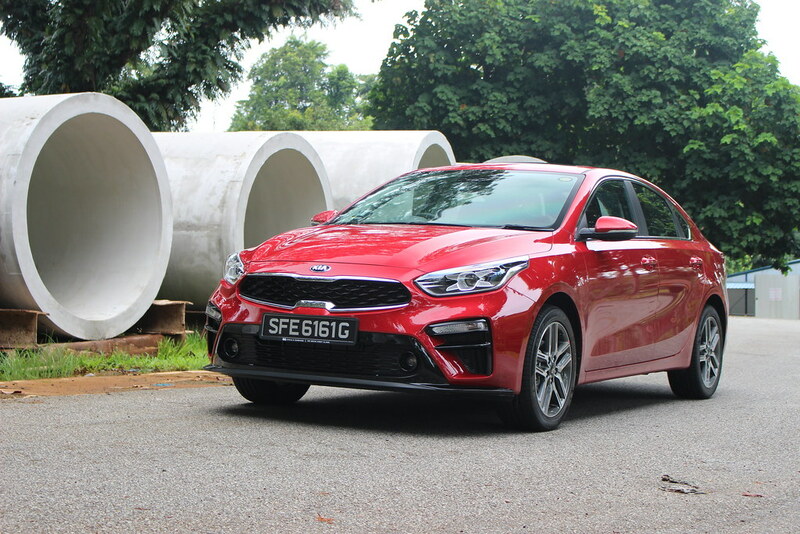 While every car these days has air conditioning, and a sunroof is at least a known quantity to most people, the Cerato has one advantage most of the competition lacks, and it comes from below. Specifically, that would be the ventilated front seats, a rarity even in luxury cars costing twice as much. It’s all well and good having the climate control blasting cool, crisp air at your face and chest, but with the rear of your body nestled against the leather seats, it’s all too easy end up with a soggy back, or worse, a soggy bottom. We’ve seen the alternative, and know there’s more than one reason some fastidious drivers permanently ‘clothe’ their car’s seats in old t-shirts or towels. But the Cerato doesn’t need its interior to look like a row of washing that never got collected. Thanks to the cooling fans integrated into the seat back and base, you’ll never have to worry about feeling hot and sticky after a long drive ever again. Hot car? Wind down the windows to let the air out, and drive to let cool air replace the hot stuff. But since hot air rises, it stands to reason that the car will cool down even faster if it could escape straight up, instead of just sideways. For most cars that wouldn’t be possible, since the roof gets in the way, but that’s not a problem for the Cerato. At just the press of a button, the power sunroof opens just a crack for venting hot air – or you could just open it fully too – which will allow all the hot air in the car to escape in no time. To better meet the cooling needs of the average Singaporean, the Cerato goes one step further with dual-zone climate control, for you to set the temperature exactly where you want it. But while the climate control might not seem to hold any surprises, there are actually a few tricks you can use to help cool your car even quicker. When you get into your scorching car, don’t set the climate control to its maximum setting. This may seem counterintuitive, but “max” actually draws some air from inside the cabin, cools it, then feeds it back into the car. The problem is that the air in the car can be up to 50 percent hotter than the air outside, which just gives the climate control extra work to do. In a similar vein, set the recirculation setting to “off”, at least for the first few minutes. This will draw in air from outside the car rather than recirculating the same stuffy air inside. Once the cabin has reached a tolerable temperature though, be sure to turn the recirculation back on, as the air inside would be cooler by this stage. You could also consider opening just the bottom vents initially: while it may be tempting to have the air con going full blast at your face and chest, blowing air out of the bottom vents will help push the hot air up and out of the car even quicker. Don’t worry if all that seems a bit much to remember, as the Cerato has a way to keep things simple. Just engage the “auto” setting on the climate control, and the array of sensors and thermostats will not only keep track of the temperature in the cabin, but also monitor the amount of solar radiation entering the car, and continuously adjust the air con settings to keep you chilled. Some people get headaches jumping into air-conditioned coolness suddenly, but with dual-zone climate control too, you can enjoy whatever temperature you want, while your passenger selects their own for maximum comfort.